Planning a day at the races for your favorite local charity? Make sure you get plenty of guests through the turnstiles with the Kentucky Invitation. 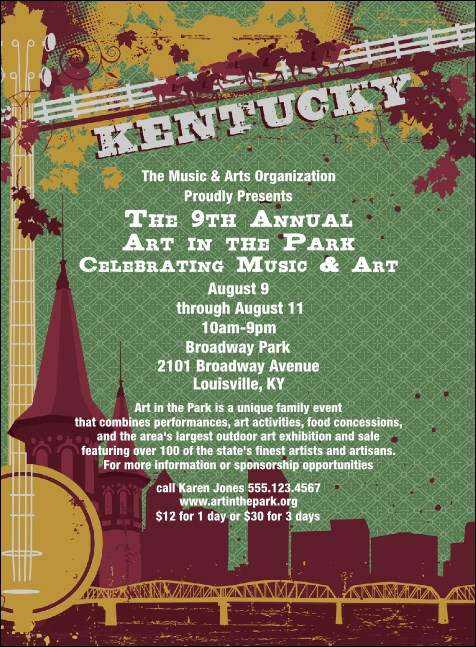 Printed in bold colors, this invite features images of the Bluegrass State, from horses, to a banjo, to a city skyline. From Louisville to Lexington plan the perfect event with TicketPrinting.com.